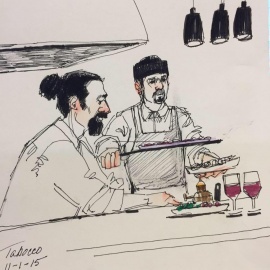 Trabocco, a new restaurant founded by Alameda residents Chef Giuseppe Naccarelli, a native of Palombaro, Italy, and his wife, Christine, is now open at Alameda South Shore Center, announced Jamestown, a leading national real estate acquisition and management firm and the center’s owner. 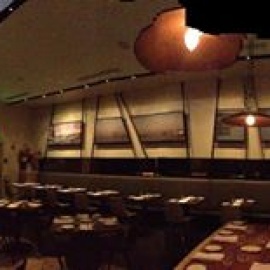 The 4,700-square-foot restaurant occupies a prominent position in Center Court, the shopping center’s main plaza. Trabocco showcases the flavors of Italy in a warm and inviting setting, and feature traditional Italian cuisine along with modern versions of classic dishes. The menu includes authentic thin crust pizza as well as rustic baked and roasted delicacies from a wood burning oven, meat and fish on the rotisserie, and fresh pastas and breads made in-house daily. “Trabocco is a pivotal addition to South Shore Center. The owners are passionate about food, community, and quality, and they are committed to creating a restaurant that will be a lively gathering place for locals as well as a destination dining spot for the entire East Bay,” said Michael Phillips, Jamestown’s chief operating officer.